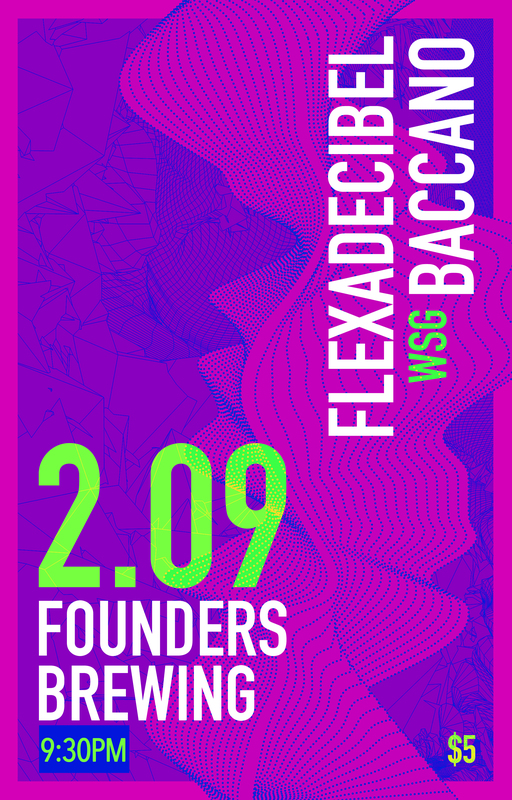 Flexadecibel - Founders Brewing Co.
7-piece Funk Rock group cultivated from West Michigan’s passionate music scene. We’re bringin’ the funk! Baccano first began developing their sound in 2014, and over the years have garnered interest from venues, bars and fans alike. Early 2017 saw the release of their debut EP “Amalgam” that helped Baccano gain quick traction and helped catapult them to the next level. Things aren’t slowing down for Baccano in 2018 as they have just recorded their first full length album “Best Eggs” as well as two live studio music videos all set to be released within the coming months. In the meantime, Baccano is hitting the road this Summer with a packed schedule to help promote the new album to new fans and friends.